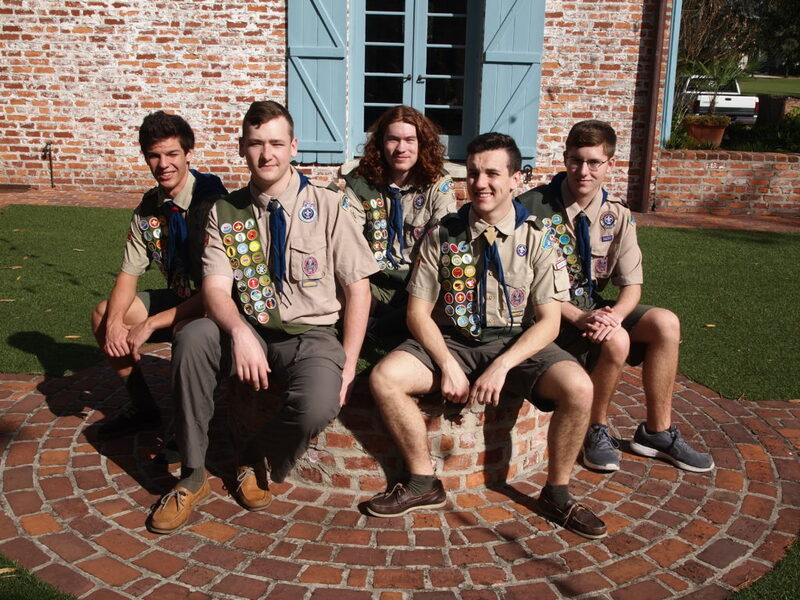 Five Winter Park High School seniors are now Eagle Scouts. The young men are all from Troop 62, which meets at St. Margaret Mary Church in Winter Park. A large part of reaching this status is to plan and carry out a community service project. John Mazanec landscaped at the Orlando Rescue Mission; Evan Mihailoff constructed two free “little libraries” for Brookshire Elementary and filled them with donated books he collected; Henry deZwart landscaped at All Saints Episcopal Church; Sean “Frenchy” Frenchette created a Hope Sanctuary at Winter Park High; and Will Ferguson cleaned and re-painted a parking lot at South Street Ministries.